I was craving something sweet (I guess I’m always craving something sweet…) so I decided to whip up this chocolatey peanut buttery sugar covered deliciousness. That’s exactly how it turned out too. So delicious, yet so simple to make. 1. 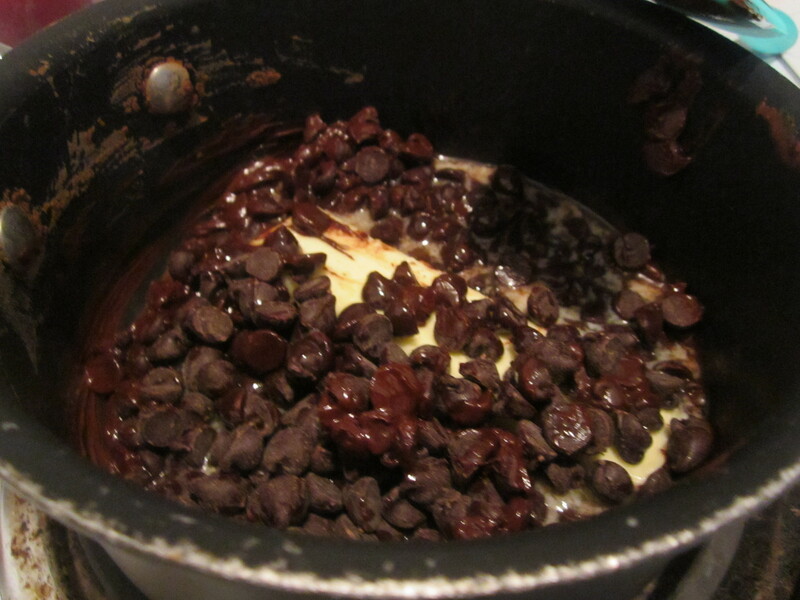 In a pan over medium-low heat, melt the butter and chocolate chips, stirring constantly. 3. Slowly pour the chocolate Nutella mixture over cereal in a large mixing bowl. Wash your hands and use them to stir everything together until fairly evenly coated. 4. Wash those hands again and add the cereal to a gallon sized ziploc bag. 5. Pour in the powdered sugar and shake, starting with 1/2 cup at a time. You want to make sure everything’s coated, but not too sweet! Ah, tell me about it…I swear I’m ALWAYS craving something sweet. Seriously. It’s a problem. 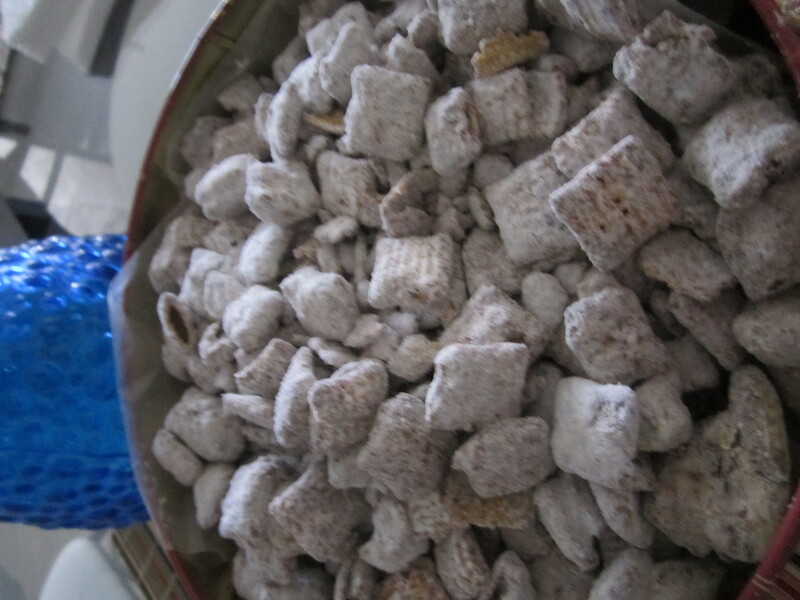 And puppy chow is definitely my weakness, but I prefer more peanut butter to chocolate, since I’m that weirdo who doesn’t love chocolate. 😉 Great idea to add Nutella to the mix.